For the second year in a row, the Netherlands is among the top four most competitive countries in the world, according to findings from the World Economic Forum (WEF). Within the EU, the Netherlands scores first place, ahead of Germany, Sweden, the United Kingdom and Finland. 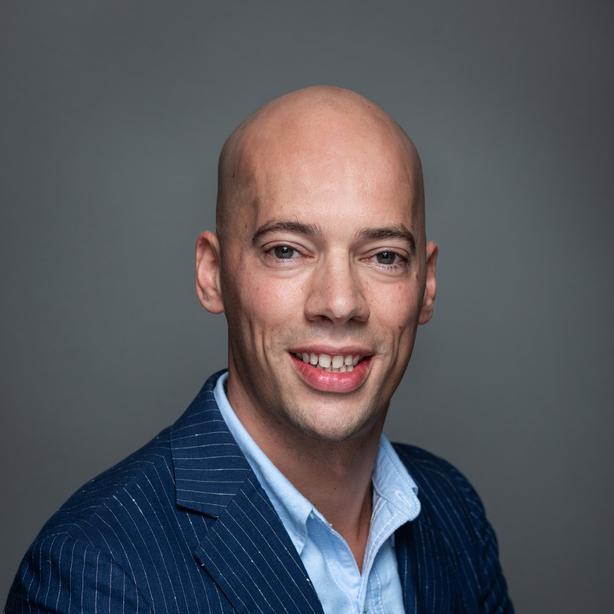 The Netherlands maintains its prominent position thanks to the support of a strong education system and high levels of tech readiness among businesses and individuals. Its innovation ecosystem is ranked 6th globally, putting Holland in an excellent position to develop new ideas and attract investment. While many countries have shifted in rank from the previous year, the Netherlands maintains its position as the 4th most competitive global economy in the 2017-2018 report. This comes as a result of top scores across three WEF subindexes, including top 10 ranks for institutions, infrastructure, health and primary education, higher education and training, goods market efficiency, technological readiness, business sophistication and innovation. The Netherlands scores especially high on the quality of its port infrastructure (#1), quality of air transport infrastructure (#4), quality of scientific research institutions (#4) and university-industry collaboration in R&D (#5). WEF published its latest Global Competitiveness Report on September 26, 2017. Released annually, the report is a comprehensive assessment of the factors driving productivity and prosperity in 137 economies. 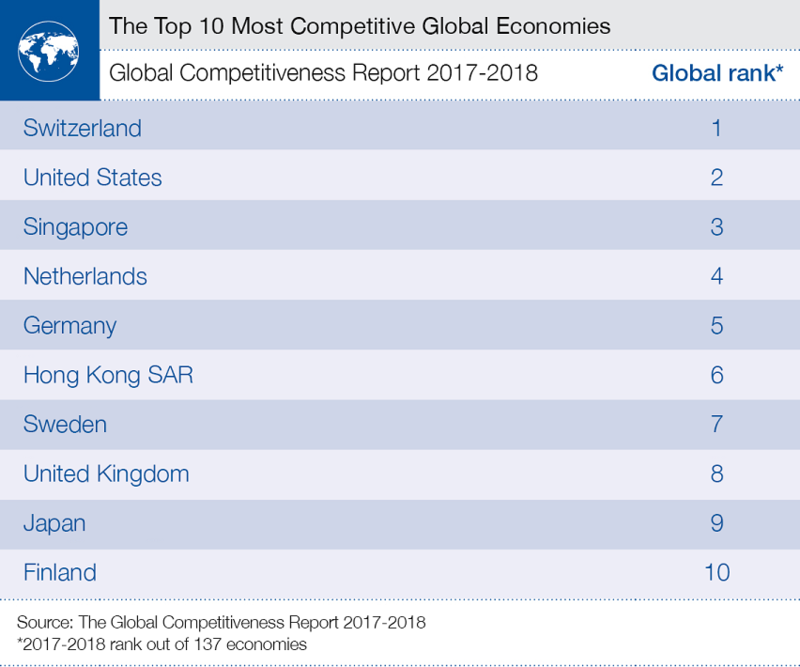 For the ninth consecutive year, Switzerland ranks as the world’s most competitive economy, ahead of the United States and Singapore. The Netherlands and Germany make up the remaining top five spots. The Netherlands previously climbed four places in two years before sustaining its current position. Hong Kong SAR (#6) advanced three places, while Sweden (#7) dropped one place from last year. Of the remaining three economies in the top ten, the United Kingdom (#8) and Japan (#9) each fell one place. Finland (#10) remains consistent.